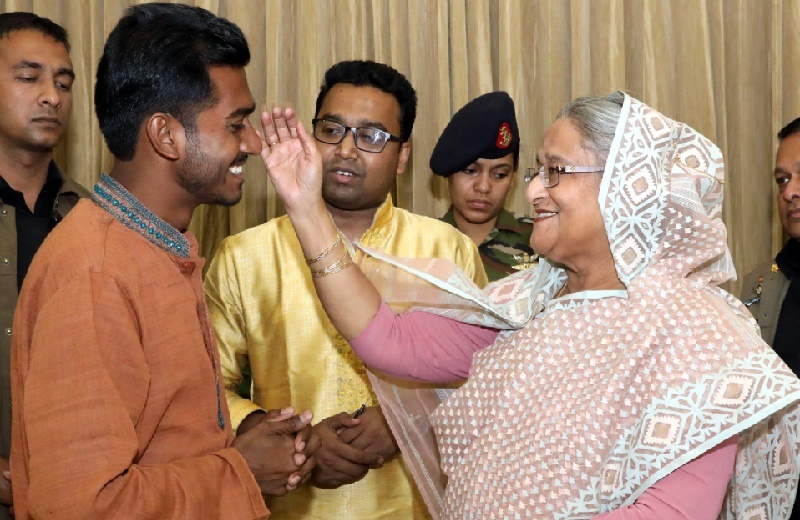 A proposal has been made at the maiden meeting of Dhaka University Central Students' Union (DUCSU) to make Prime Minister Sheikh Hasina a lifetime member of the student body. International Affairs Secretary of DUCSU Shahrima Tanjima Orni tabled the proposal in the meeting before it was raised by DUCSU General Secretary Golam Rabbani for further discussion. Vice-president Nurul Haque Nur, however, opposed the proposal arguing that an honourable person like Sheikh Hasina should not be made DUCSU lifetime member by the committee which has been elected in 'questionable' polls. According to DUCSU General Secretary Golam Rabbani, 24 leaders of the panel voiced their support for the proposal while Nur, the vice president was the only one who opposed. Earlier, the elected leaders of Dhaka University Central Students' Union (DUCSU) took over their respective charges for one year in its first executive meeting held on Saturday. Quota reformist leader Nurul Haq Nur, who won the DUCSU vice-president post and later called it an ‘unfair’ election, also assumed the office.